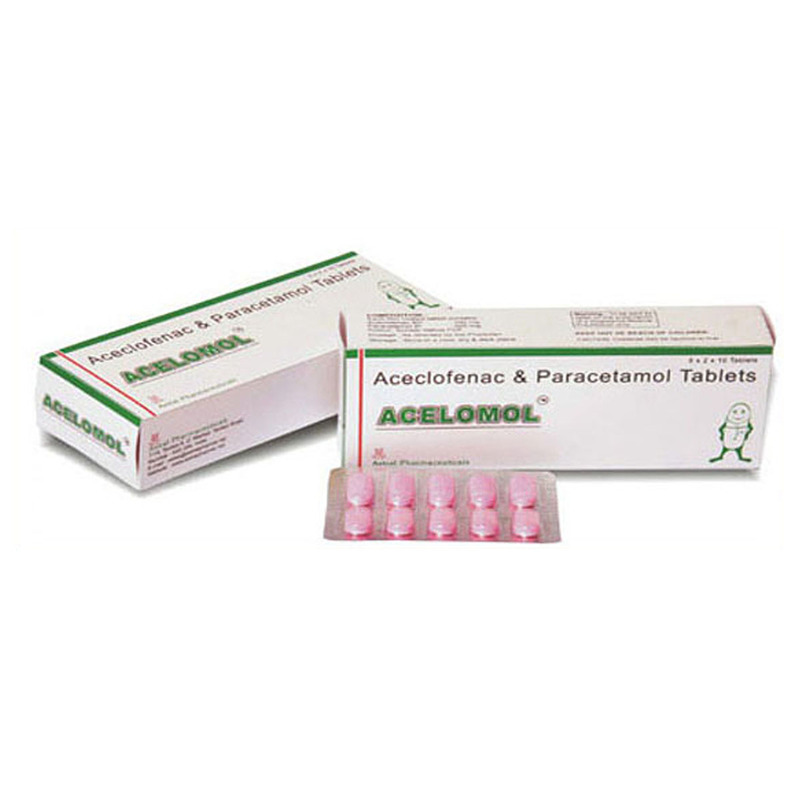 Acelomol is brand name of Aceclofenac & Paracetamol Tablets: is indicated for relief from severe pain and inflammation in osteoarthritis, rheumatoid arthritis, ankylosing spondylitis, low back pain, dental pain, gynaecological pain and painful and inflammatory conditions of ear, nose & throat. Pain & Inflammation / Excellent Pain Reliever & Anti-inflammatory Analgesic medicine. To manage pains & inflammation in an effective manner. Relief from chronic pain. It belongs to class Non – steroidal anti-inflammatory drug [NSAID].